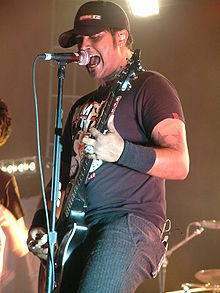 On May 11, 2006, Baksh announced in a statement through his management company that he was leaving Sum 41 for personal reasons. He explained that he could not keep trying to express himself through guitar skills without being a pain to the band. During the post-Chuck hiatus, he decided it was time to move on from Sum 41 and to focus on his side project "Brown Brigade", his new band that he founded with his cousin Vaughn and with which he currently plays lead guitar.